Gatwick Airport has seen a series of major facility upgrades within the last 10 years, with £1.2 billion invested between 2008 and 2014. Most notably, the South terminal hugely benefitted from a brand new security area which features 19 lanes and a dedicated entrance for passengers with special assistance requirements, as well as families / individuals travelling with small children. A brand new premium lane was introduced for the 1st class and business class passengers. Not sure which terminal you need? 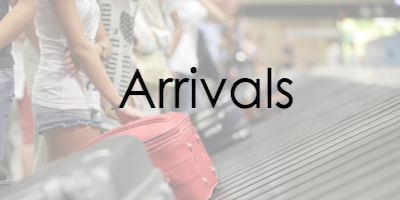 Check out our Arrivals page to find out! The South Terminal at Gatwick offers a wide variety of services to make the flying experience smooth and stress-free, as much as it’s possible. Not sure which terminal, South or North? 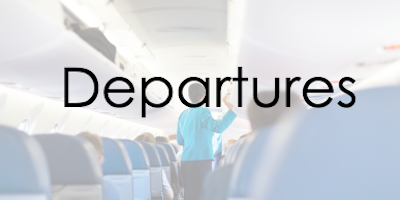 Find out on our Departures page. Check in desks are located on level 2 at Gatwick’s South Terminal. Passengers are advised to arrive well in time for their flight to ensure they have plenty of time to go through security. 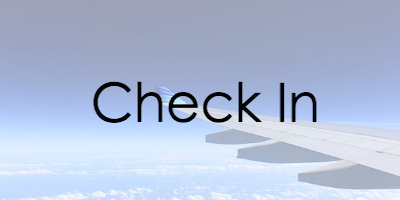 Make sure you check in with plenty of time prior to your flight. We advise 2 hours before a domestic flight and 3 hours before before a international flights. Some airlines offer self service check in; it’s a really simple process and will take minutes to complete. Passengers save time and are able to check-in at the airline’s kiosk, choose their seats and print boarding cards. Alternatively, self check-in can also be done online, in advance, before you even head off to the airport. Passengers then have to drop their luggage at the drop off points. Remember: Please note that there are no flight calls at London Gatwick airport, so all passengers need to check the flight information screens situated across all levels at South Terminal. The screens will list flight destination, time, flight Number, status, gate number and whether it’s affected by delays/cancellations. Boarding usually begins around 45 minutes before departure. Arrivals is located to the left of the terminal. You can check arrival times online. If you arrive at Gatwick to connect to another flight, what you do next depends on whether your baggage is checked through already. If it is and you already have a boarding card for the next flight, you simply follow the directions to Flight Connections. If you don’t have the boarding pass for the onward journey and your checked-in bags are not checked through to to final destination, then you will have to collect it at Gatwick, pass through border control and proceed to get checked-in for your upcoming flight. 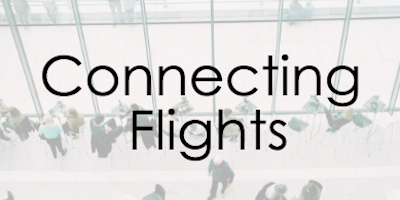 Gatwick Airport has also started offering an innovative solution to passengers connecting onto flights with Norwegian Airlines or Virgin Atlantic, called Gatwick Connect. The service is free and allows passengers to collect their bags and leave them with the staff at Gatwick Connect counter, and then proceed straight to security without having to take the bags along. International connections do not require going through Immigrations or Customs but all International to Domestic connections do. Domestic to International connecting passengers can use special Immigration check points if baggage is through-checked. The South Terminal handles the bulk of Gatwick Airport’s traffic serving domestic, international and charter flights. You’ll find 2 Moneycorp Bureau de Change counters in Check-in area, Level 2. One is situated near London News Company and the other near the WHSmith store. One ATM is located near the Moneycorp Bureau de Change, opposite the M&S Simply Food store, and another near the check-in Zone H.
There are no cafes or restaurants on Check-in level 2, however Marks & Spencer Simply Food stocks a range of pre-packed salads, snacks and drinks. A dedicated Information Zone is situated in the check in area, next door to Boots Pharmacy. High speed wi-fi is available throughout the airport and is free for the first 90 minutes. Internet access is also available at SurfBox internet kiosks, as well as printing facilities. Price is 10p per minute for internet access and and 50p per page for printing. A public pay phone is located near the check-in Zone J. Situated next to the VAT Refund office, you’ll find the special assistance information desk, with reserved seating. Currency exchange services are available from Moneycorp Bureau de Change, with two counters situated on lower level and one on level 3. Most restaurants and cafes are located on upper level of departures, and include Nandos, Pret A Manger, Costa, Wagamama and J D Wetherspoons. You will find the Caviar House & Prunier on lower level, as well as several cafes in the departures level 3, just before the security. Free wi-fi for the first 90 minutes. There is an Internet Zone just before the security, and another one on upper level. There is a printing station situated in departures, just before the security. Available free of charge on the forecourt. A public pay phone is located in departures area on level 3, just before security. A multi-faith chapel is available for private prayer on level 3 (before security). You can find designated smoking areas outside the terminal buildings. Smoking (including e-cigarettes) is not permitted anywhere in the terminal building. Read the rules of travelling with e-cigarettes. There are many retail stores, bookstores and news shops in both the public and passenger areas of the departures concourse. You will find most retail facilities on lower level of Departure lounge, with the names such as Zara, Ernest Jones, Fat Face, Harrods, Hugo Boss, Ted Baker and others. An array of shops is also located on upper level, where you can find Accessorize, Boots, Dixons Tax Free, Mango, SuperDry, as well as a large area taken up by World Duty Free stores. All three levels of Departures section male, female and accessible toilets, baby changing facilities, with an addition of shower facilities on levels 1 and 3. Changing Places facilities are available on the upper level. Two Moneycorp Bureaux de Change are situated in the arrivals area, one of them opposite the M&S Simply Food store, and another near the Costa Coffee. Available from street level forecourt. Outside Costa Coffee, you’ll find the entrance to the Regus Business area, complete with a business lounge, meeting rooms with amenities and shower facilities. Major companies have desks beyond the Meeting Point. An ATM is located near the Moneycorp Bureau de Change, close to the exit for Long & Short stay car parks. Costa Coffee offers a wide selection of hot and cold drinks, sandwiches, pastries, paninis and muffins, and is located right opposite the Arrivals exit. M&S Simply Food store sells a good choice of cold foods, snacks and beverages. In the main Arrivals area, next to the Airport Concierge. Wi-fi available throughout the airport. An internet kiosk with a printing station is situated in the Arrivals area, as well as a Banner Xpress vending machine, allowing you to print banners if you are awaiting to collect a guest and you need their name printed. Operated by the Excess Baggage Company, left luggage storage facility is located right in front of arrivals gates, open 24 hours a day and the charge is £9 per item per 24 hours (or part). Available free of charge in Baggage Reclaim. WHSmith, M&S Simply Food, and Boots. Access to Short Stay car park through covered walkway. Follow signs to lower level. Male, female, accessible toilets and a baby changing facility are located opposite Boots. The entrance to the Rail concourse is signposted and is towards the Departures area.